My kids love to do crafts with me. We have been working on St. Patrick’s Day crafts lately. Sometimes, the girls and I just want something that they can do when they are home and I have something that I need to do, like work. 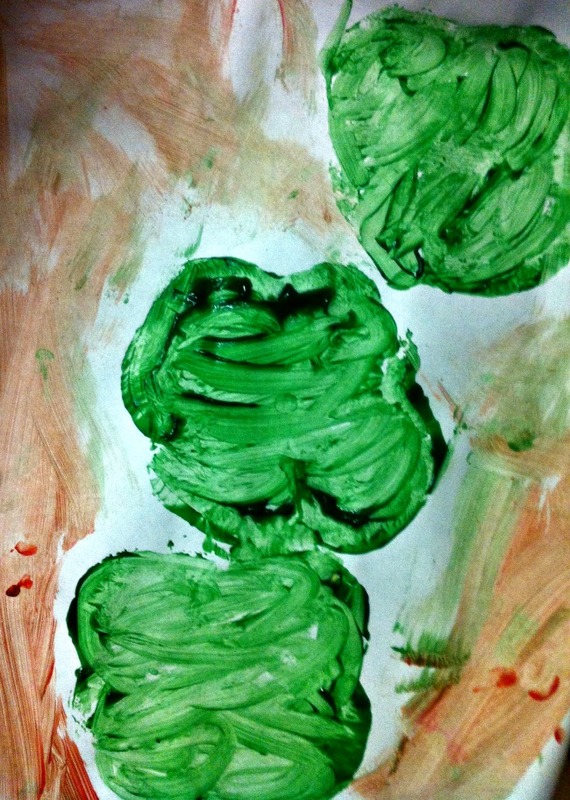 This is a simple St. Patrick’s Day craft that the kids love to do. 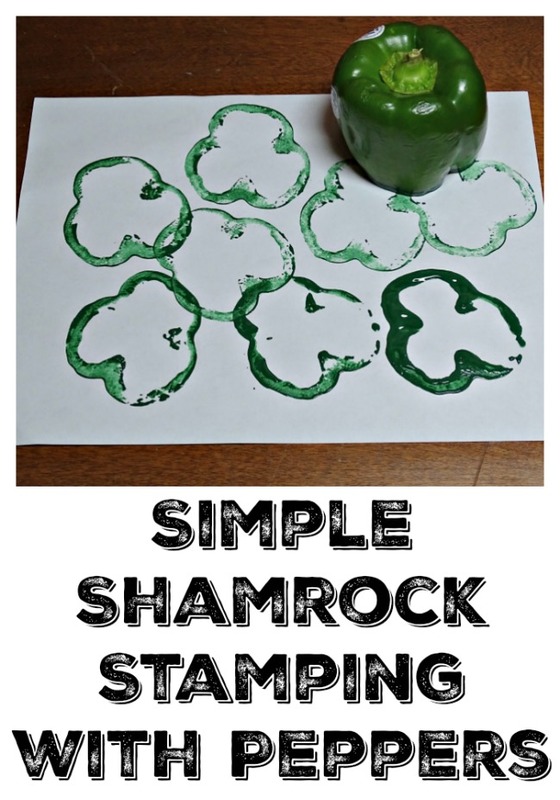 Making a shamrock stamp using peppers is so simple and the kids love to just stamp away. Related: Check out these 40 Ways to Celebrate St. Patrick’s Day or Simple St. Patrick’s Day Dessert: Irish Flag Parfait. You might also like Last Minute St. Patrick’s Day Desserts or my Non-Alcoholic St. Patrick’s Day Punch. 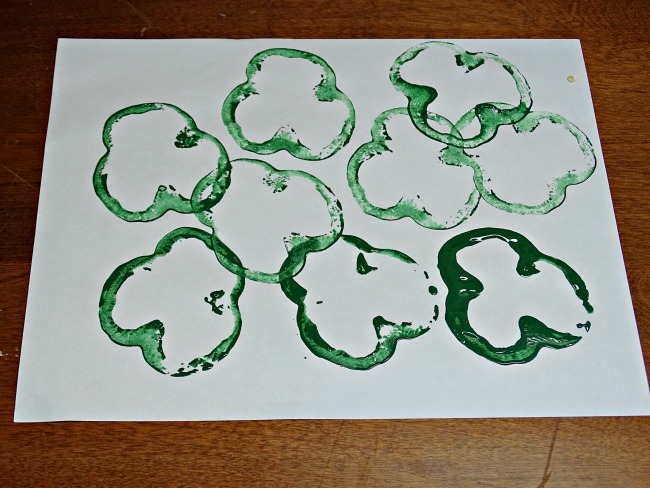 Making these shamrock stamps requires just a pepper. Depending what the pepper looks like on the bottom will depend if your stamp looks more like shamrock or a 4 leaf clover. Pro Tip: I use the green paint I have on hand but if you want a paint that is great for kids, finger paint works well. Also, make sure you have paper that is good for crafts but that doesn’t cost a lot because the kids will want to make several sheets. I love these paper rolls. Start by picking a pepper and cutting it into sections. It depends if you will have little hands or an older kid doing the stamps. For younger kids I recommend cutting the pepper in half horizontally, not vertically. For older kids, you can cut them into thinner sections and get more stamps out of each pepper. 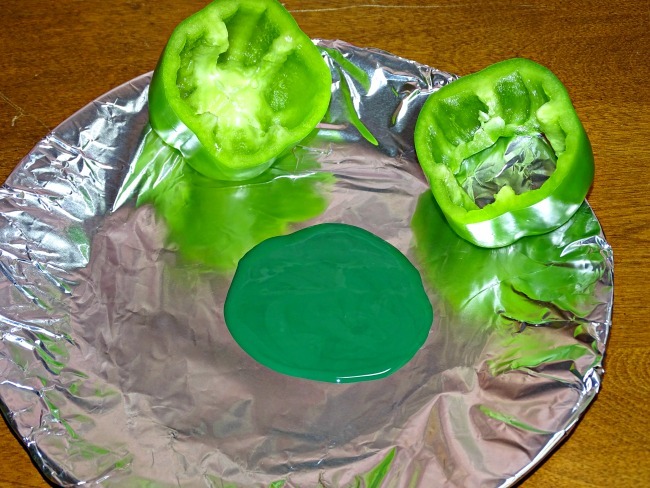 Then add some green paint onto a plate or something that the kids can push the pepper into. Once the pepper has paint on it, it can be used as a stamp. The kids can stamp away all over their paper. Older kids might enjoy making a design. My girls are always looking for a reason to paint, so after stamping, they love to paint the areas in. 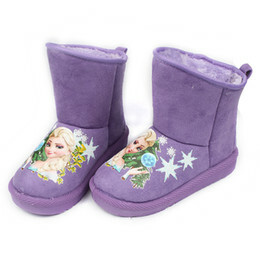 You can also do these in a more “orderly” fashion. Use card stock or cardboard. Then, cut them out. You can even go so far and use a hole punch and turn them into a necklace or hang them from the ceiling.